Beauty trends are seasonal and one trend I’m always delighted to welcome back each Autumn/Winter is the return of heavy eyeliner. 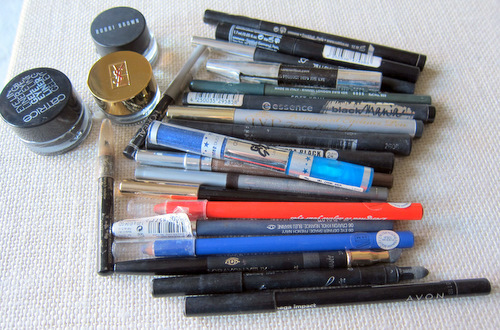 Liquid, pencil, gel or cream, I love them all -- although for ease of use, my absolute favourite has to be the felt tip pen. For years I was never without a trademark flick and though I’ve toned it down these days, especially for work, winged liner is still pretty much my favourite look (as evidenced in these pictures here). Here’s most of my collection spilled out in all its well-loved, erm, glory. Those two little stumps of pencils are L’oreal and Lancome, and both have served me well. There’s also a chubby little Karen Millen glitter liner that was a much appreciated gift, and one or two Rimmel kohl liners, about which I have only good things to say. Luckily for every miss there are about 20 hits out there on the market with some high performing products at every price range. I mentioned Rimmel, L’Oreal and Catrice earlier and I’ve also been impressed by NYC’s cheap-as-chips glitter liners, which I got my hands on after I’d taken these pictures. And here are my 5 current favourites: YSL Eyeliner Effet Faux Cils in Bronze Black; Bourjois Liner Feutre Felt Tip Eyeliner in Ultra Black; YSL Dessin Du Regard Long Lasting Eyeliner in Shimmering Burgundy; Chanel Le Crayon Yeux in Gris Scintillant and Avon Mega Impact Gel Eyeliner in Black Flash. The Chanel one is a really smudgy shimmery grey, the YSL ones wear brilliantly and are amazing colours but still dark enough to properly define the eyes, the Bourjois one not only performs well but is fantastic value for money, and the Avon one gives the most intense colour I’ve found in a pencil. Thanks Wendy, I have never used UD's liners though I love their eyeshadow so I'm sure they are of the same high quality! I agree with Wendy, I've been using the Urban Decay 24/7 liquid liner (the waterproof one) and it really does stay on all day. It also has a tiny applicator for really sharp lines. It takes a while to get a hang of it but I really love it now. 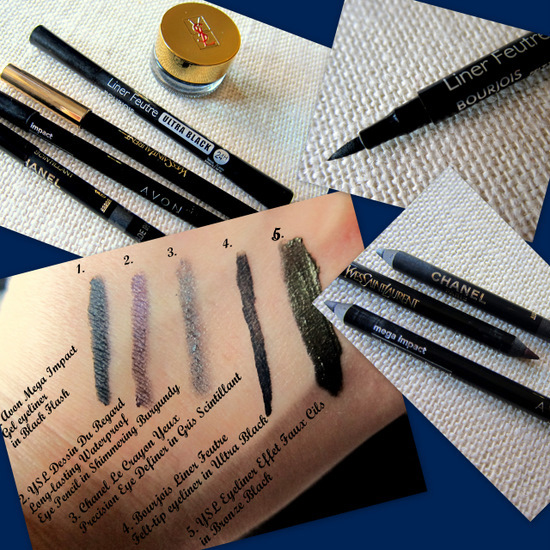 The L'oreal Superliner is great too! And totally agree with you on the Body Shop one, much too hard. @Tina, yep, can't go wrong with Rimmel and L'Oreal! Maybelline, NYC and Catrice are also good. 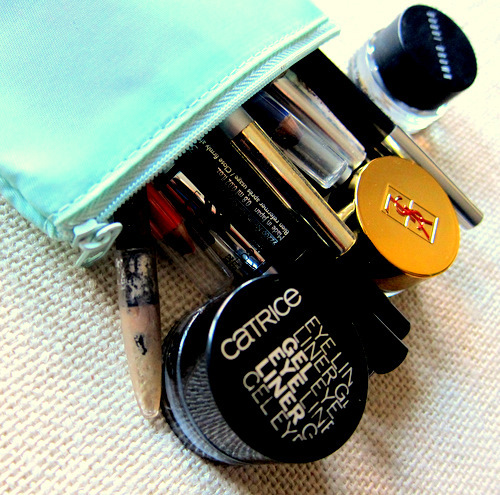 @Dee, thanks for the tip, will check out the Essence gel liner! @Celeste and Becky, thanks for stopping by!